I love Fluff Ice, I heart Fluff Ice…like yeah! I love Fluff Ice. I really, really, really love Fluff Ice. 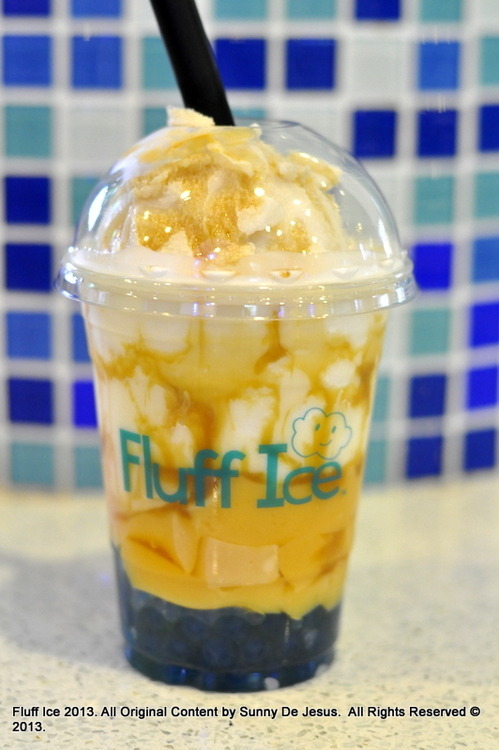 Whenever I crave for something icy and sweet, I usually head to Fluff Ice in Monterey Park. As a matter of fact, I usually head to Fluff Ice after dim sum. 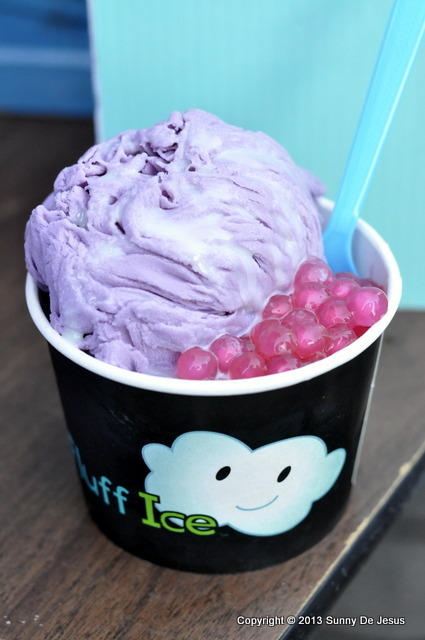 Pictured above is a Taro flavored Fluff Ice with lychee Jelly, boba, and a good drizzle of sweetened condensed milk. The Frosted Milk drinks are just as good as the fluff. The drinks are blended with a flavored shaved milk of your choice and layered with various exotic choices like honey boba, fruit, or flavored jellies. This pictured Frosted Milk is my favorite, because of the mix of blue honey boba, egg custard, and caramel.